Businesses that have multiple locations may find that keeping up with their electricity usage and cost is an extremely complicated and time consuming endeavour. In fact, it can be so complex when there are a great number of sites to keep up with that it almost takes a full-time bookkeeper or accountant to make sense of it all. At Business Electric, we work on your behalf to find the best solutions to problems just like this. It is our job to negotiate multi-site, multi-meter packages for you so that you can get the best deal with no hassles whatsoever. We contact the suppliers, negotiate multi-site rates to get the cheapest rates on the market, and then present you with offers from a selection of electricity suppliers so that you can make an educated decision. How Do Multi-Site Electric Packages Work? Each supplier has unique rates that are meant to be competitive in today’s market. However, we all know that the cost of producing electricity fluctuates – sometimes even daily. For this reason, we try to find multi-site deals that lock the supplier into the rates you are quoted in the beginning. What our energy consultants will do is analyse the number of sites within your organisation that will be consolidated under one plan. Typically, suppliers ask that only businesses with more than five locations request multi-site rates. Then we look at what type of meters each of those establishments are currently using. Are some half-hourly meters, and are they meeting P272 regulations? At this point we can begin to calculate how much total electricity consumption you require, as a whole, so that we can begin contacting suppliers to negotiate the best multi-site business electric rates available. Because we have a comprehensive list of electricity suppliers, we are in constant contact with them on your behalf throughout the negotiations. We will find the absolute best deals out there before presenting them to you, allowing you to make the best tariff decision for you business’ requirements. Do All Our Meters Need to Be the Same? With the rollout of half hourly meters (HHM), all businesses with an electricity consumption equal to or greater than 100kW are required, by law, to have half hourly meters installed by their suppliers. This part of an ongoing effort established by Ofgem to radically transform the energy sector. These meters are much more accurate and can enable your company to set standards in energy consumption to reduce the amount you are using, and therefore paying for. 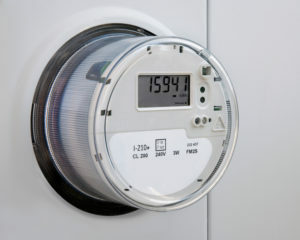 If your enterprise is large enough to request multi-site packages, then most likely all your meters will (or at least should) be half hourly meters. In reality, these do have the ability to help you analyse your current expenditures so that you can find creative ways to cut back on consumption. It is a well-established fact that transitioning to meters can save as much as 12% of what you are currently paying, which soon adds up to a sizeable sum when factoring in multiple premises. Business Electric is your advocate in finding the best multi-site electricity deals on the market. We work diligently on your behalf to ensure that the rates you pay are the lowest available and that the contract terms with the supplier are in your best interest.